Earth Month brings warmer weather, blooming plants, and birdsong in abundance. It’s a great time to immerse ourselves in nature, and to consider ways to make our own little corners of the planet greener and more welcoming to the species we share it with. Observing nature is one of my favorite spring rituals. Over the last month, I’ve enjoyed the sight of hundreds of bees buzzing around trees in full bloom, and the sound of bird calls as they flit about looking for nesting materials. Monarch butterflies are paying their annual visit to Austin, and huge groups of Cedar Waxwings cross the sky in massive murmurations, peppering the air with their high-pitched cries. Austin is the top-ranked city in the country for wildlife habitats, boasting 2,616 certified properties. As a homeowner for the past 3 years, I’ve been gradually transforming my yard into a certified wildlife habitat through the World Wildlife Federation Program. My lot is small, but I’ve discovered ways to make it a haven for many wild things. 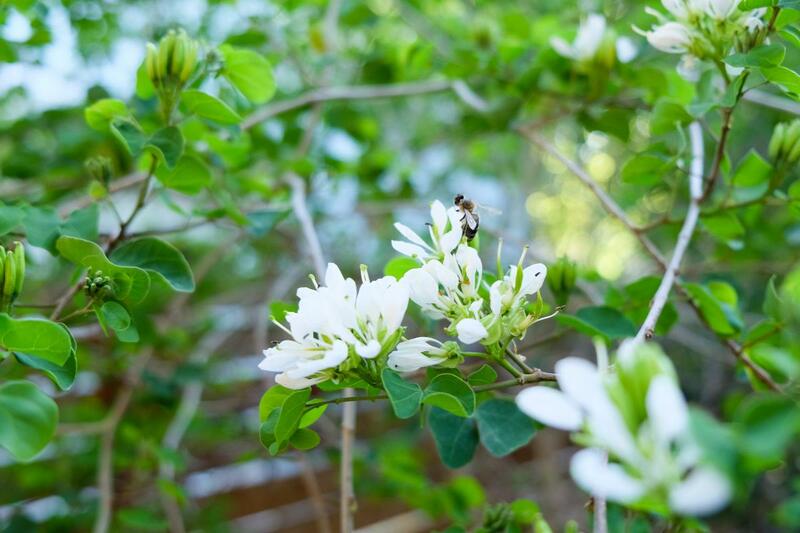 A few years ago, my husband planted a native Anacacho Orchid Tree — the spring blooms are very fragrant, and the bees seem to be as intoxicated with it as we are! I added a Possumhaw Holly (deciduous yaupon) and an American Beautyberry to the mix to provide Autumn berries for hungry birds and squirrels. I also planted Passionflower Vine and native Verbena to provide nectar for hummingbirds and butterflies. Did you know that many birds can hear water movement from over a mile away? Last year I created a small water feature using a galvanized stock tank. It includes a recirculating pump and splash feature, as well as rocks to provide a shallow spot for birds. I added a few fish to manage mosquitoes, as well as some native lilies and horsetail. A simple bird bath or ceramic saucer on the ground can provide respite and helps to attract toads, who will provide a nightly serenade. 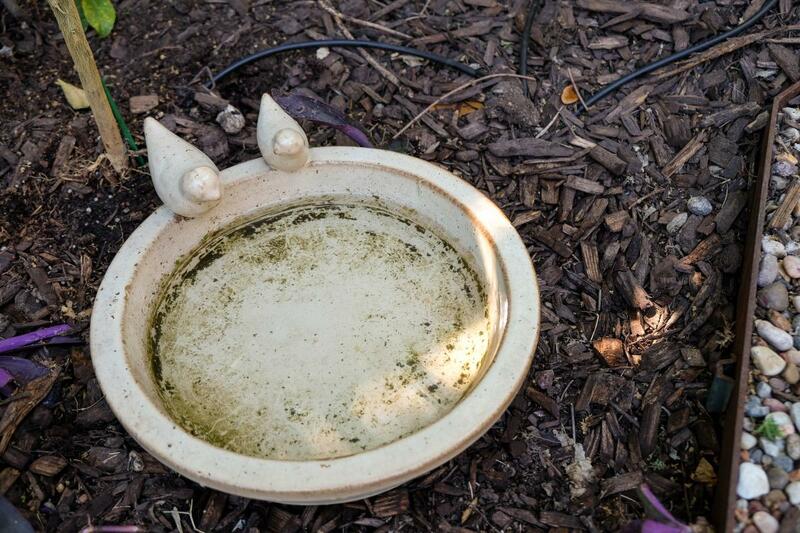 Just be sure to dump out and replace water regularly to prevent mosquitos from breeding! As my landscape matures, it will provide more protection for small species. 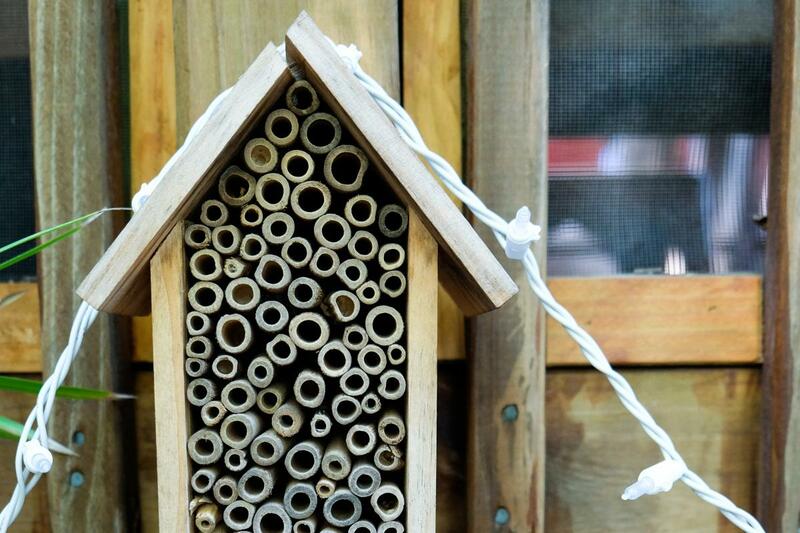 Until then, I plan to add a roosting box for birds in addition to the native honey bee nesting box I installed last year. I also have a small wood pile in the back corner of my yard where I put small branches and twigs that I clear away. A simple decaying pile is an important spot for bugs that birds and other critters love to eat, and it keeps woody debris out of the landfill. Wildlife need places to engage in courtship, mate, and then bear and raise their young. Mature trees, dead trees or snags, wetlands, prairies, and water gardens all serve this purpose. In my yard, I have tried to introduce butterfly weed to provide host plants for Monarch Butterflies to lay their larvae. Once my new trees mature, my critter friends will have lots of places to raise a family. Already I’ve witnessed many fledges of baby birds, including Blue Jays and Canyon Wrens. Taking care of your yard organically is one of the most important things you can do to protect wildlife, as well as water quality. I use compost as fertilizer; it does a great job of providing nutrients as well as holding soil moisture. 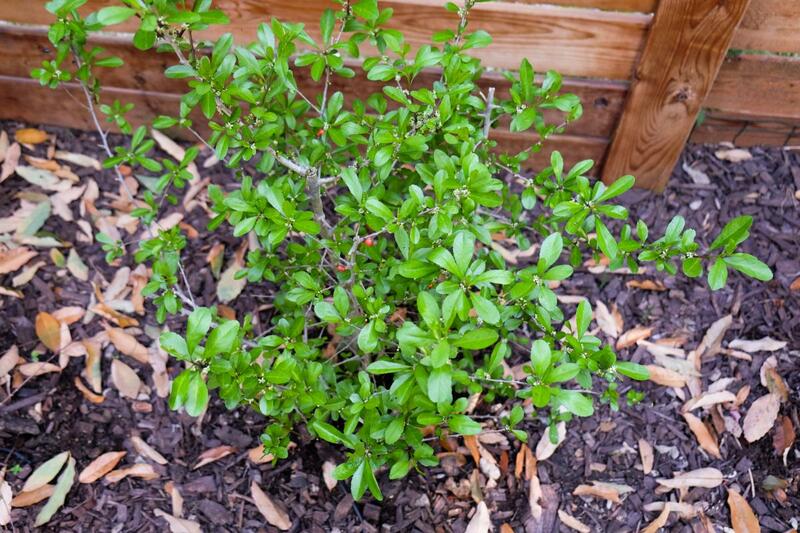 High strength vinegar (not the kind from the grocery store) works pretty well to kill weeds, and I mulch my beds with organic materials or gravel to keep the soil from drying out. I use drip irrigation to deliver moisture slowly so it can soak in instead of running off. 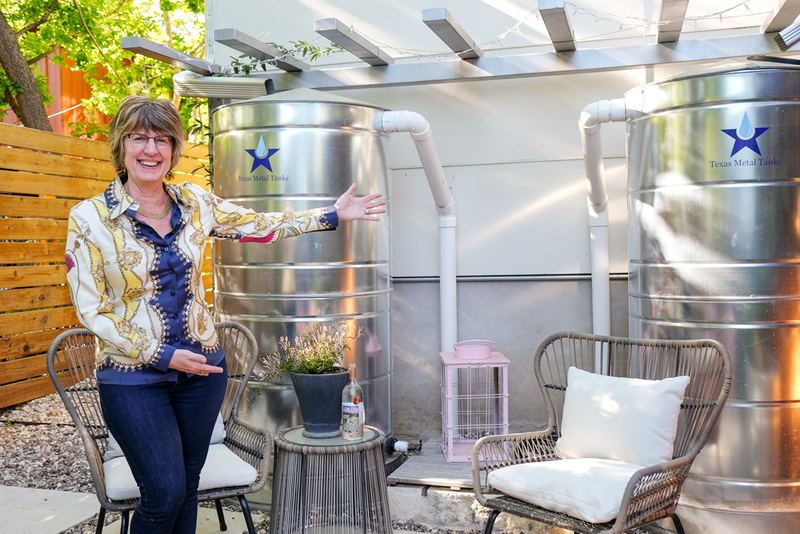 This year I’m enjoying using collected rainwater from two large 350-gallon galvanized tanks. Large windows can be very reflective and cause birds to accidentally fly into them. Apply special stickers to make windows more visible to birds, or close the blinds when they’re not in use. Bright lights, especially those that shine up, can interrupt the night environment for nocturnal bats, birds, and pollinators. Avoid uplighting and implement a lighting curfew after 10pm — your neighbors and the bats will appreciate it! Creating a wildlife habitat is fun, and I think I’ve enjoyed it just as much as the wildlife. More birds, butterflies, bees, and soon, fireflies keep me coming outside again and again to enjoy the show. Connecting with nature after a busy work day feeds my soul and lowers my blood pressure. The National Wildlife Federation’s checklist for habitat certification. 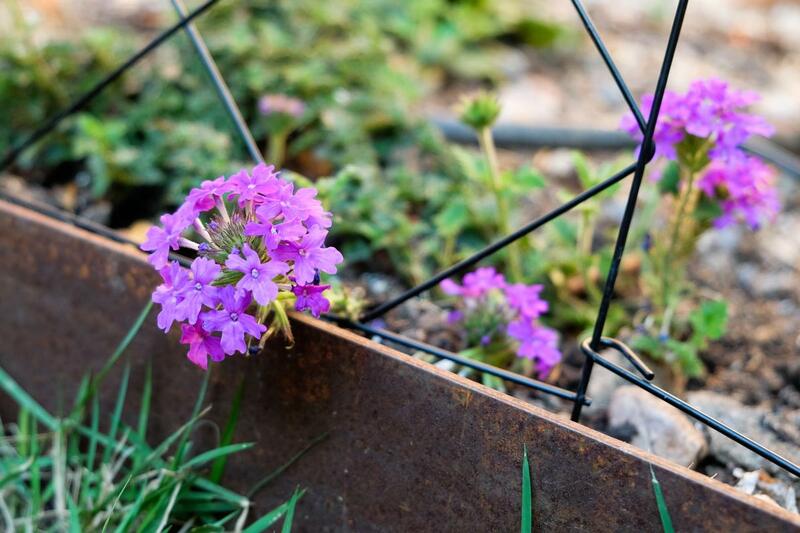 The City of Austin’s Grow Green program and guide to creating wildlife habitats. The City of Austin’s Wildlife Austin program. Next articleWhat’s Next For This East Austin Green Space?